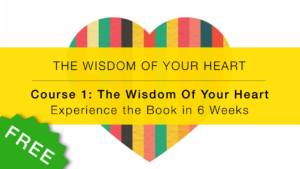 Expand your personal or group study of emotional maturity with these additional resources that support the content of The Wisdom of Your Heart: Discovering the God-given Purpose and Power of Your Emotions, organized by chapter. Note: All the book links go directly to Amazon. These are affiliate links. If you buy a book via one of these links I will get an infinitesimal kick-back which I promise to use to buy more books. Course 1. 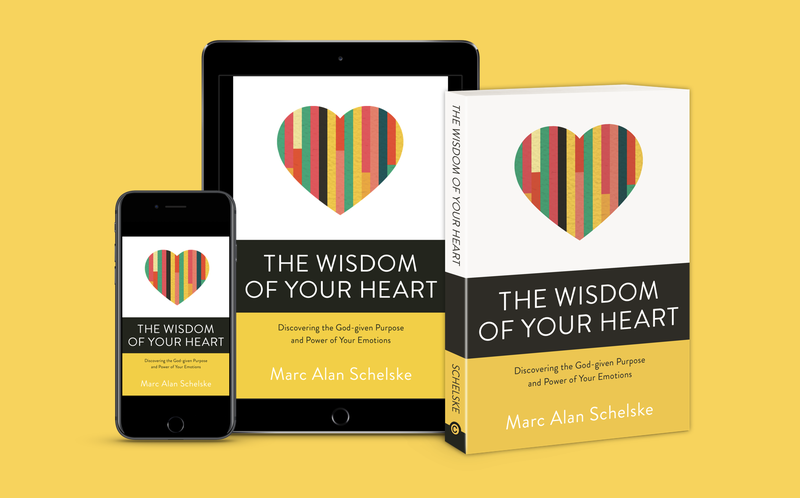 “The Wisdom of Your Heart.” If you’d like a little accountability and assistance in reading the book, I offer a 6-week video course that walks you through the key themes of the book. This is the first of 4 courses that did into the book’s content, and this first one is free for your individual or group use. How to Journal for Spiritual Growth – A quick blog post of mine, giving you a template to use in ongoing journaling. The 1 Practice that Has Helped me Grow the Most – Presently, subscribers to my blog get a 6-week email course on how to journal for spiritual growth. Details here. This material will probably become a book at some point. Using a Personal Journal for Spiritual Growth – This blog post offers several great ideas about topics for journaling that will help you grow. How to Encounter God in Journaling – An excellent page offering quite a few great ideas that can get you started in journaling. Journal Keeping. A resource site on journaling for Christian growth. Luann Budd wrote a book on journaling for Christian growth that is quite good. This website offers a lot of answers to questions, advice, and resources for journaling. There’s lots that’s helpful here. Day One App – I do all my daily journaling in Day One. It’s excellent. Beautiful to use, simple, secure, searchable, and synced between all my devices. Evernote – Before switching to Day One, I did all my journaling in Evernote. I still use Evernote for all my non-journaling notes. It’s a high-quality, multi-platform app. Moleskine Journals – I do all my hand-written journaling in one of these, using these Sharpie Pens. 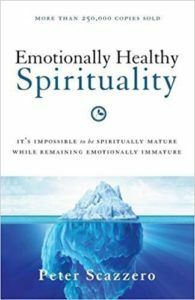 Emotionally Healthy Spirituality: It’s Impossible to Be Spiritually Mature, While Remaining Emotionally Immature. By Pete Scazerro. I mention this book in the preface, and quote from it several times. This is a book every Christian ought to read. 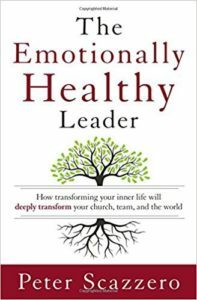 The Emotionally Healthy Leader: How Transforming Your Inner Life will Transform Your Leadership, Your Church, and the World. Scazerro takes his principles and applies them to leadership in this excellent book. 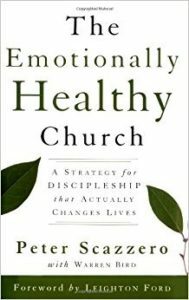 The Emotionally Healthy Church: A Strategy for Discipleship that Actually Changes Lives. If I ran the zoo, I’d require every pastor to read this book by Pete Scazerro. 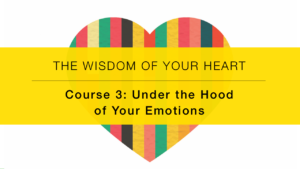 Course 2 “Uncovering the Story that Shapes your Emotions.“ If you’d like to spend some time digging deeper into the idea that the stories we carry about our lives shape our emotions and experiences, this course will be helpful for you. This course is designed for an individual who wants to go deeper into exploring this part of their lives. 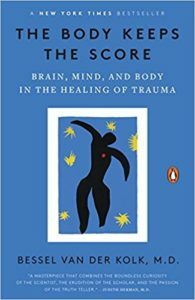 The Body Keeps the Score: Brain, Mind, and the Body in the Healing of Trauma, By Bessel A. van der Kolk. This stunning book goes deeply into how the traumas that we experience in life impact our body and physical wellness. 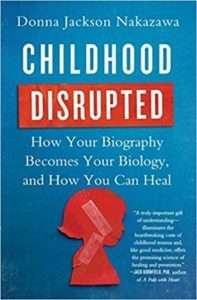 Childhood Disrupted: How Your Biography Becomes Your Biology and How You Can Heal, By Donna Nakazawa. Another great work on the connections between our story and our physical health. 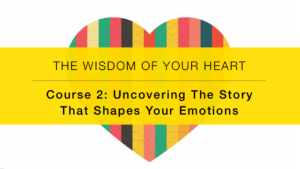 Course 2 “Uncovering the Story that Shapes your Emotions.” If you’d like to spend some time digging deeper into the idea that the stories we carry about our lives shape our emotions and experiences, this course will be helpful for you. This course is designed for an individual who wants to go deeper into exploring this part of their lives. 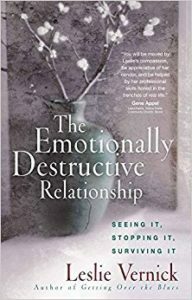 The Emotionally Destructive Relationship: Seeing It, Stopping It, Surviving It. By Leslie Vernick. While TWOYH doesn’t get into emotionally abusive or destructive relationships directly, it’s a common area of concern for people needing to grow in their emotions. 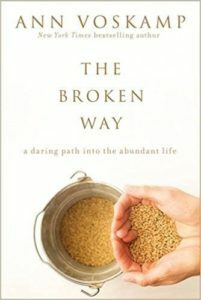 The Broken Way: A Daring Path into the Abundant Life, by Ann VosKamp. Not about emotions, per se, but a great help to perfectionist performers like me. 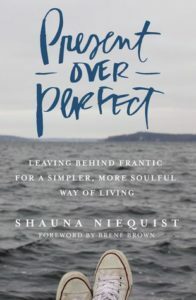 Present Over Perfect: Leaving Behind Frantic for a Simpler, More Soulful Way of Living, by Shauna Niequist. Also not about emotions, but definitely about perfectionism. Was very helpful to me in thinking about this part of my emotional immaturity. Randy Alcorn defines Christoplatonism. About 2 min. Another presentation by Alcorn on the influence of Greek philosophy on Christian theology. The Greek concept that the body is bad influenced Christian theology, and this idea isn’t Biblical. Much of the emotional repression in the church is the fruit of this flawed view. About 4 min. 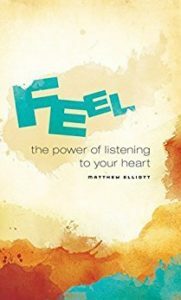 Feel: The Power of Listening to Your Heart, by Matthew Elliot. 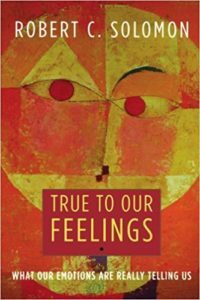 This is a book that was recommended to me, when I was in deeply painful places, and it was one of the influences that started me on the journey of learning about emotion in scripture. 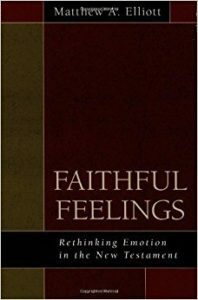 Faithful Feelings: Rethinking Emotion in the New Testament, by Matthew Elliot. Feel, the book I recommend above, is a popular treatment of the subject that will work for most every reader. Faithful Feelings, on the other hand, is a bit more academic. If you’re wanting to study the topic deeply, I recommend this one too. Curt Cloninger, “God Views” sketches. This Youtube video is a short intro to the “God Views” Sketch that I refer to in the introduction of chapter 5. There is a short appearance of the “God in a box” at about 2 minutes in. 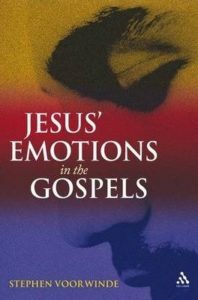 Jesus’ Emotions in the Gospels, by Stephen Voorwinde. This is an academic treatment of the subject that is thorough. If you’re wanting to really capture the full topic with some deep study, go here. Hesed / Chesed – The Hebrew word for God’s loving kindness. Here’s a quick study of it’s meaning. 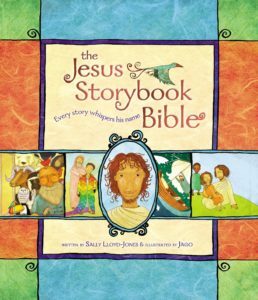 The Jesus Storybook Bible: Every Story Whispers His Name. By Sally Lloyd-Jones. Children’s Bibles are notoriously problematic, with glossed-over theology and often a moralistic viewpoint that’s absent from the original text. Lloyd-Jones has done something stunning with this one, though. This is beautiful from start to finish, telling so many of the stories in scripture–even difficult ones–with grace, and always with an emphasis on how this story leads us to Jesus. I have used this Bible repeatedly with adults because it’s just so good at giving a Jesus-centered overview of scripture, and a much wider and more nuanced picture of God. I cannot recommend it enough. 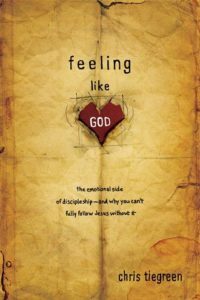 Feeling Like God: The Emotional Side of Discipleship–and Why You Can’t Fully Follow Jesus Without It, by Chris Tiegreen. This is one of the very first books I read on emotional discipleship, and it opened my heart and mind to a whole new reality. It’s easy to read and short, which makes it a great starting place for nearly anyone. Rich Mullins song, The Love of God.” I opened Chapter 7 quoting this song because it is one of the most compelling descriptions of the love of God in all it’s vastness and nuance I’ve ever come across. Rich Mullins was a unique and prophetic musical voice, and I still feel sadness about his unexpected death. If you’re not familiar, take a listen. His lyrics are a treasure that have taught me, lifted me, mentored me, and helped me to see God better for years. Thoughts on the Unmoved Mover theory. Originally this phrase came from St. Augustine’s argument for the existence of God. Essentially he argued that since everything in this universe depends on cause-and-effect, there cannot be an infinite chain of causes. Somewhere, at some point, someone must have caused the first caused. That “someone” is God, the original cause, the One who Moved everything to happen. Thus, the label “the unmoved mover.” A concise description of the argument can be found here. However, this label has long ago taken on meaning well beyond Augustine’s arguments for the existence of God. For us today, one of the implications of this idea is the idea that God cannot be moved, or emotionally impacted. That’s what I address in TWOYH. The Attributes of God. In chapter 7 I talk about the 3 classic “Omni” attributes of God. Omnipresence, Omnipotence, and Omniscience. These have been long discussed by Christian theologians and philisophers. For a quick, helpful, summary check out this page that catalogues the attributes of God and how they have been defined over time. This page also defined Immutability and Impassability, two concepts about God that have put a damper on our understanding of emotions. Note that these are not Biblical definitions, but a summary of how philosophers and theologians have used these terms over time. 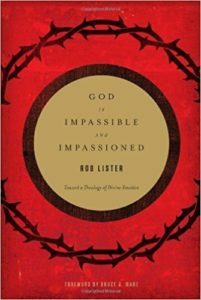 God is Impassable and Impassioned: Toward a Theology of Divine Emotion. By Rob Lister. This is definitely a book by a theologian, and so not every reader will find it easy reading. But this is a great discussion of the issue I raised about the “impassability of God” and the clear presentation in scripture of God’s emotions. The story of Elliot. Here’s a fascinating deep-dive interview with Dr. Damasio where he tells the story of Elliot, and talks about his understanding of emotions and the brain. About an hour. Debunking the Left Brain / Right Brain Myth. This common misperception is everywhere. Here are a few credible places you can read about this. Here, here and here. The Journey of desire, By John Eldredge. Easy to read and engaging, Eldredge lays out a clear picture of how desire functions in our lives as Christians. It’s not just about temptation! It lies at the heart of every good thing we do, too. 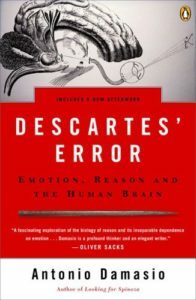 Descartes Error: Emotions, Reason, and the Human Brain, By Antonio Damasio. I mention Dr. Damasio and his work with Elliot at the beginning of chapter 8. His books are definitely academic, but well written and full of interesting illustrations and examples. His work is vital for our current best understanding of how emotions work. 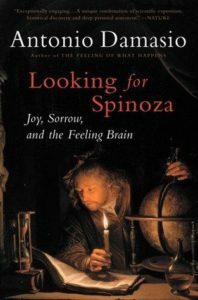 Looking for Spinoza: Joy, Sorrow, and the Feeling Brain, By Antonio Damasio. Another of Damasio’s works, going deeper into our relationally connected emotions. Course 3 “Under the Hood of Your Emotions” If you’re interested in going deeper into how our emotions work, and what our different emotions mean, this course will be helpful to you. Designed for an individual to go deeper with video, short readings, and journal exercises, this course will help you grow in your understanding of your emotions. Let Your Life Speak: Listening For the Voice of Vocation. By Parker Palmer. This great little book encourages you to listen to your intuition as you make decisions about your life’s path, but this isn’t a simple do-what-you-feel message. It’s about looking for the way that God has already spoken in your life. 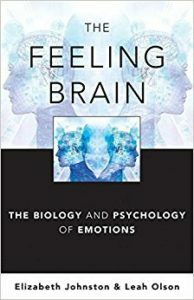 The Feeling Brain: The Biology and Psychology of Emotions, Johnston and Olson. This is a stunningly good work, a must-read for people who really want to understand in a deep way what is going on under the hood of their emotions. True to Our Feelings: What Our Emotions Are Really Telling Us. By Robert Solomon. Solomon is one of the foremost emotional theorists. This is also an academic work, but very readable considering. He covers the full gamut of human emotions, discussing what they mean, from a cultural, biological and developmental standpoint. Dr. Paul Ekman’s studies. Dr. Ekman is the world-renowned scientist who has studies emotions and micro-expressions. I mention him in Chapter 10 as being the model for the protagonist on the TV series “Lie To Me.” His work is part of the body of work that shows how much our bodies are involved in our emotions, and how in fact our emotions are demonstrably present in our bodies before our conscious minds are even aware of the feelings we are having. Here’s a long academic article from Dr. Ekman about micro-expressions. Plutchik’s Wheel of Emotions. Dr. Plutchik is one of the theorists who have categorized emotions. Of course this is more art than science, but it is very helpful for some people to give them language to explain what they are feeling. Plutchik’s 3D Wheel. This site offers a simple explanation and visual of the wheel. An excellent 2-part blog post explaining Plutchik’s 8 basic emotions and how to use them in understanding ourselves. A pretty decent 3rd party explanation of Plutchik’s theory in a 4-minute video. Download: My Basic Emotions Chart. This Infographic includes a formatted version of what’s in Chapter 10. You can print it and keep a copy in your journal. I did for a couple of years. 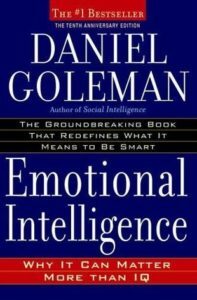 Emotional Intelligence: Why It Can Matter More than IQ, By Daniel Goleman. This is a classic in the field, and would be helpful to anyone wanting to grow in this area of life. The Emotions, By Dr. Robert Plutchik. 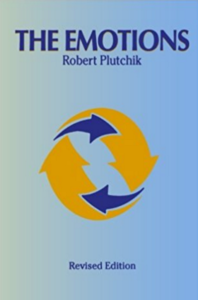 This is the seminal academic work where Plutchik laid out his model of understanding emotions. Definitely not for everyone! 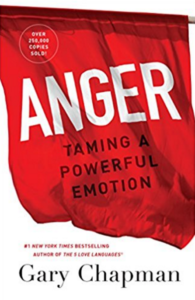 Anger: Taming A Powerful Emotion, By Gary Chapman. A practical book that deals specifically with anger, with a very balanced Christian perspective. The Anger Workbook. By Les Carter & Frank Minirth. 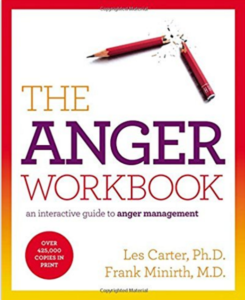 A practical step-by-step guide for processing and learning about anger. From a Christian perspective. 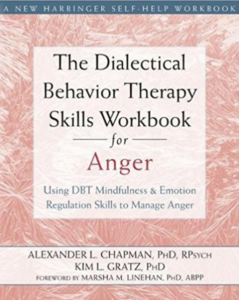 The Dialectical Behavioral Therapy Skills Workbook for Anger. By Chapman & Gratz. DBT is a fairly common model of therapy for emotional issues. This workbook offers a number of exercises that are quite helpful for anyone facing high levels of recurring anger, whether in therapy or not. 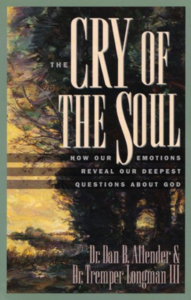 The Cry of The Soul: How Our Emotions Reveal Our Deepest Questions About God. By Dan Allender & Tremper Longman. Raw, honest, Biblical wisdom for facing our hardest emotions. 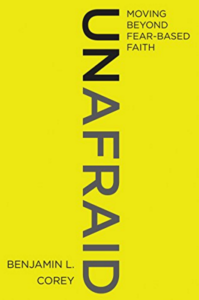 Unafraid: Moving Beyond Fear-based Faith. By Benjamin Corey. Many Christians have a faith that is tightly tangled with fear. Fear of God, fear of hell, fear of non-Christians, fear of doing the wrong thing. Corey challenges this kind of faith, and offers a path forward for a faith that is built on hope and love. 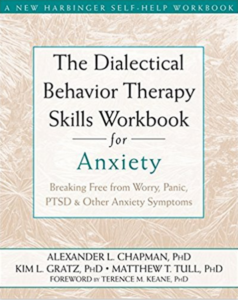 The Dialectical Behavioral Therapy Skills Workbook for Anxiety. By Chapman & Gratz. DBT is a fairly common model of therapy for emotional issues. This workbook offers a number of exercises that are quite helpful for anyone facing high levels of recurring anxiety and fear, whether in therapy or not. How grieving is like going to the bathroom. In Chapter 13 I mention a friend of mine who has coined an excellent illustration about grief. Here he is explaining it in a video where he discusses the death of his son, Zayne, with his other son Zach. (14 min. vid.) Language warning. 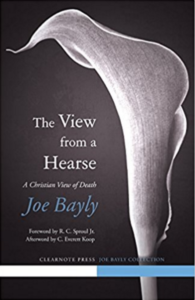 The View From a Hearse, By Joseph Bayley. A very personal study of grief from a dad who lost three of his children. 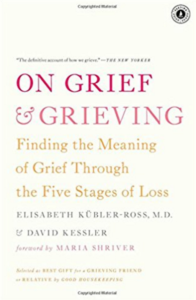 On Grief and Grieving: Finding the Meaning of Grief through the Five Stages of Loss. By Elizabeth Kubler-Ross & David Kessler. You’ve probably heard about the 5 stages of loss. 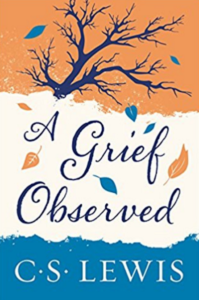 This book uses them to unpack the experience of loss and grief. A Grief Observed. By C.S. Lewis. This powerful testimony about grief comes from the very personal experience of C.S. Lewis losing his wife. One of the most important things in grief is knowing that you are not alone. 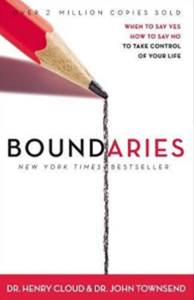 Boundaries, by Cloud & Townsend. This is a long-time classic. It’s not about happiness exactly, but so many of the places of pain in our life comes when we fail to live with healthy boundaries. The wisdom in this book is an enormous boost toward peaceful and happy living. 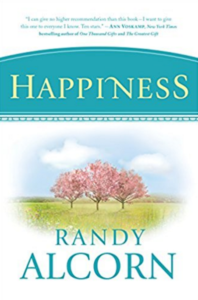 Happiness, by Randy Alcorn. I’ve never come across a theological study on happiness before. This is definitely coming from a conservative Evangelical perspective, but it’s quite interesting to see the full range of scripture on the topic of happiness. 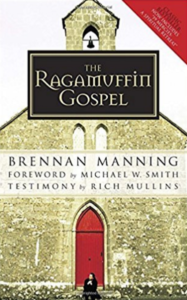 The Ragamuffin Gospel, By Brennan Manning. 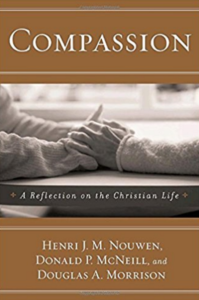 Not directly about compassion, but this book cracked open the hard shell of my heart, and opened my life to the overwhelming grace of God for me. If you haven’t read it, you should. Course 4. “Learning to Listen to Emotion’s Truth.” If the 5A process for reflecting on your emotions sounds helpful, you may find this course useful. I will teach you how to use the 5A process step-by-step with additional examples and insights that can help you really internalize the process. Download: The 5A’s Process Infographic. This Infographic includes a formatted graphical summary of the 5 A’s including the key questions to help you process through each step. Journaling: OK, now you’re into journaling for real. So, refer back to all the journaling resources listed in Chapter 1’s resources.